People nowadays are going picky while shopping for their modern homes. From home designs to furnishing items, furniture pieces; almost anything, each household item is being chosen with extra care. Not just from the customer end, even designers are coming up with such visually appealing products that promise to make consumers drool over. Here are two such products we are going to talk about today. Shower-heads, faucets, bathtubs when chosen with care can transform the simplest looking bathroom into the cool one. We have been talking about various kinds of bathroom accessories like unique faucet range by Kakudai, 13 most unique bathtubs and other luxury bathware collection by Maision Valentina. Today, we will share something unique and cool which all the Star War freaks out there would love. Yes, you read it correct. 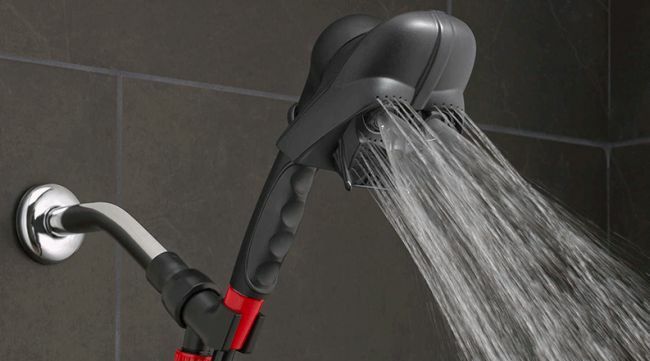 Here are two unique Star Wars Showerheads that will let you bathe in Vader’s tears. 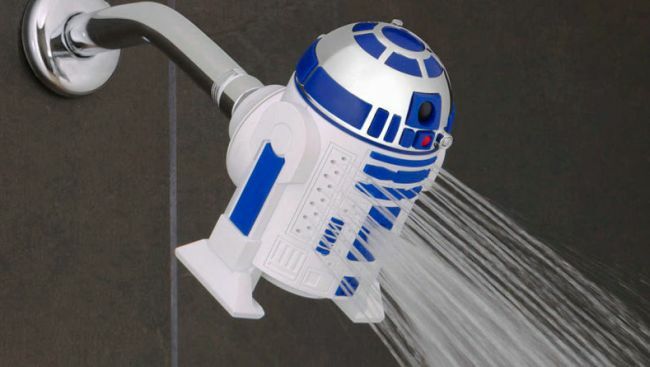 There are two awesome Star Wars versions that are R2-D2 and Darth Vader showerheads. 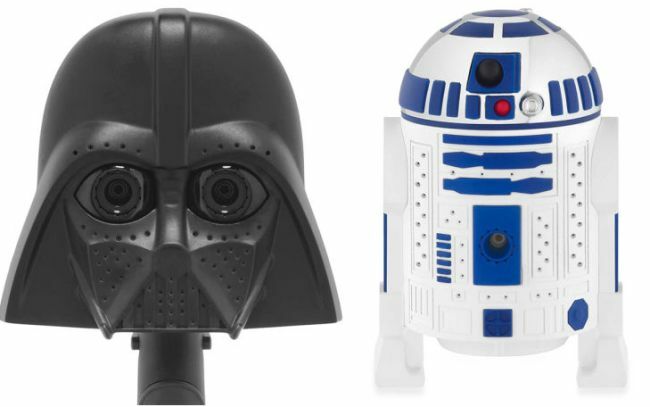 These have three different spray settings, but the Vader version is handheld look much creepier than the other one. Well, I am sure you all know about the New Star Wars movie on the horizon, the Disney/Lucasfilm marketing machine is finally fully operational. 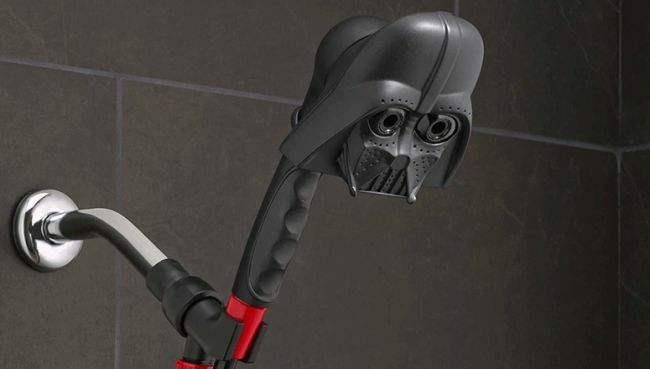 When you open up the Bed Bath & Beyond website where these Star War showerheads are made available, you can make your pick. 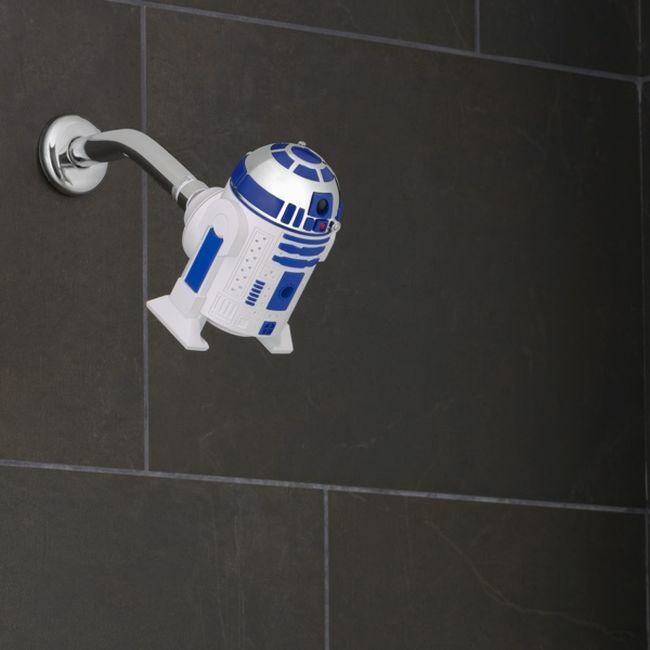 Select the beyond section and there you will get these Star Wars styled shower accessories that comes in both a Darth Vader and R2-D2 version. 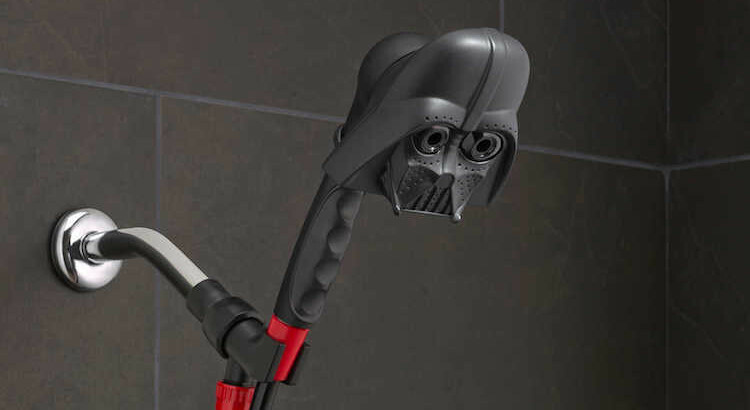 The Darth Vader showerhead will make you feel like bathing in a Sith Lord’s tears. Besides, it can be used as handheld sprayer. 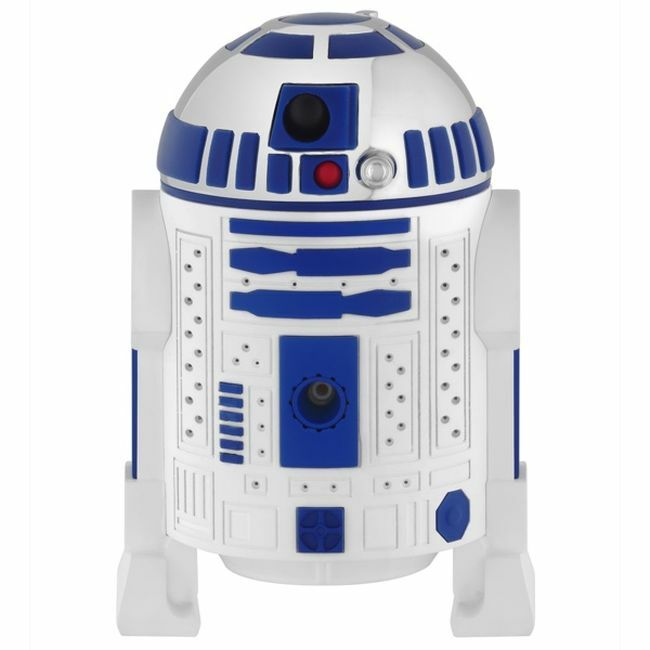 Darth Vader version is available for $30 and Artoo one too. You can buy them from Bed, Bath & Beyond. Both the shower-heads come with three different spray settings, anti-clog nozzles but look amazing. The pictures themselves speak aloud about the uniqueness and the coolness of the showerheads which I am sure all you Star Wars fanatics will love taking home. 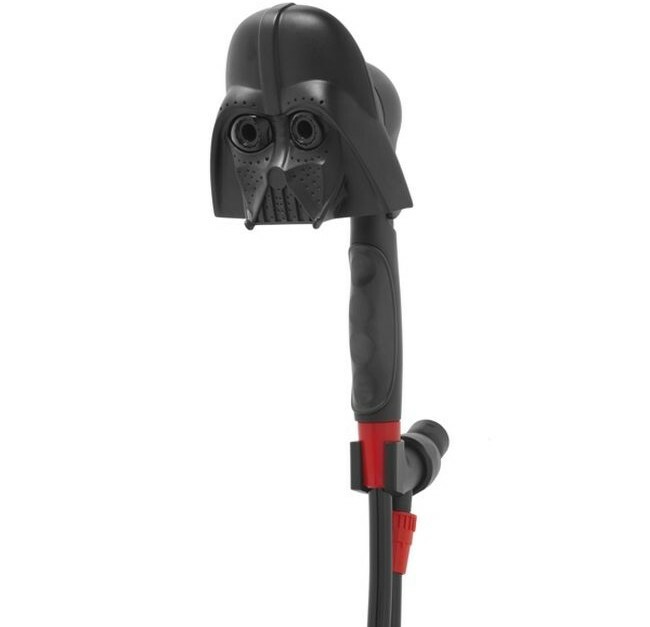 I personally will go for the Darth Vader one. Which one would be your pick? I am sure you would be picking the same shower-head for your bathroom. Isn’t it?